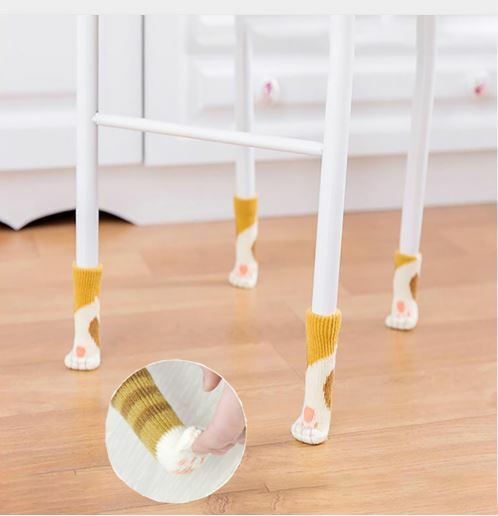 Quiet and cute ideal gift for cat lovers cute Cat Paw Design. Cloth provides soft cushioning between furniture and floor. Floor Protectors fashionable colors and attractive designs will be appropriate for any decor. The most efficient solution for floors (hardwood, bamboo, laminate or tile) in danger. Easy to install and can be folded down from the top as a fashionable cuff or pulled up high without the cuff. Suitable for leg circumference/girth: 2.3-7.1-inch(6-18cm). Stretches to fit most leg shapes: square, round, oval, irregular, etc. 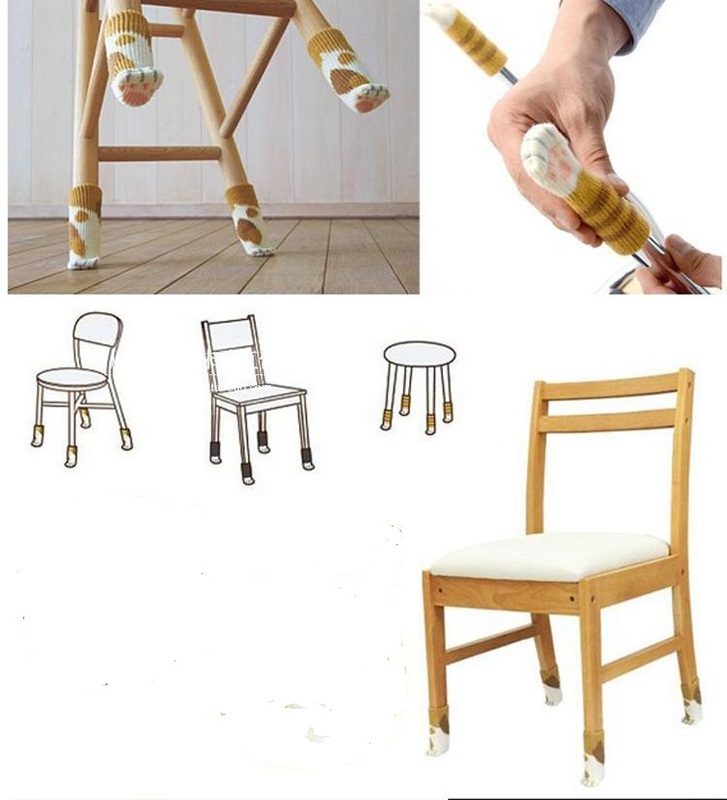 Smart cat paw design on these 4 cute patterns, helping you create your own decorate style on chairs & table legs, and make a fancy difference to your indoor space. 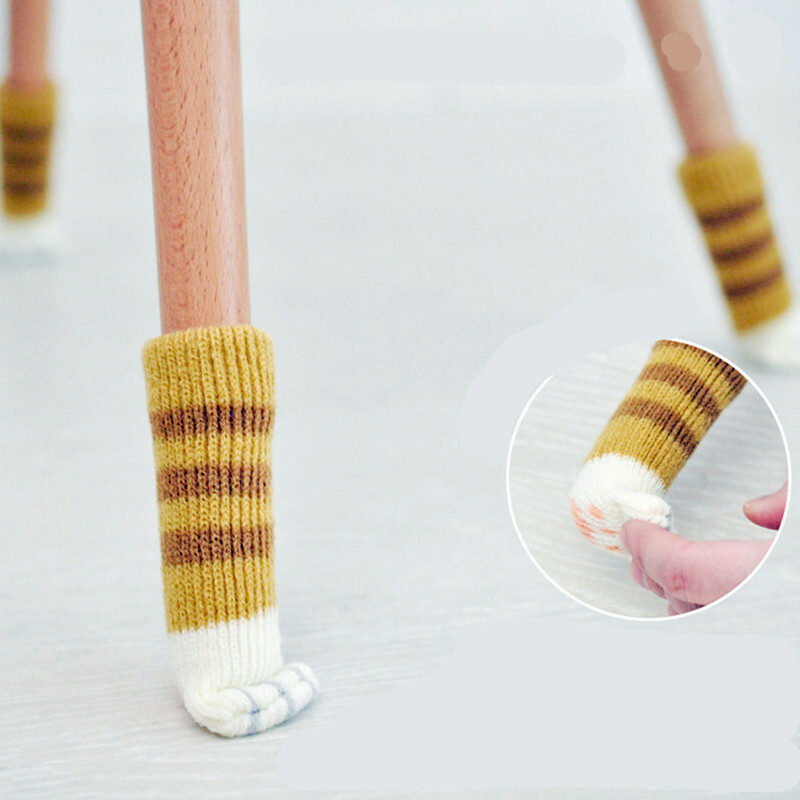 ♥Made of knitted wool and high-grade acrylic. ♥Cloth provides soft cushioning between furniture and floor. ♥Fashionable colors and attractive designs will be appropriate for any decor. ♥Noise control and skid resistance. Quiet and cute. 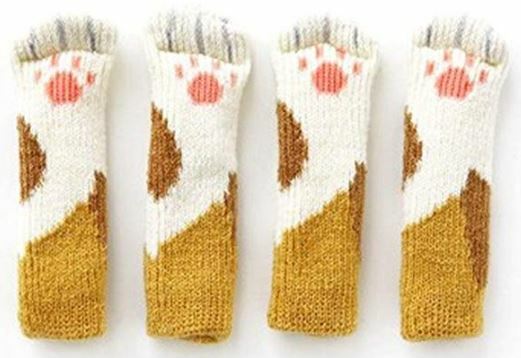 Perfect gift for cat lovers. ♥Suitable for leg circumference: 6-18cm (2.3-7.1-inch). Easy to install and stretches to fit most leg shapes.